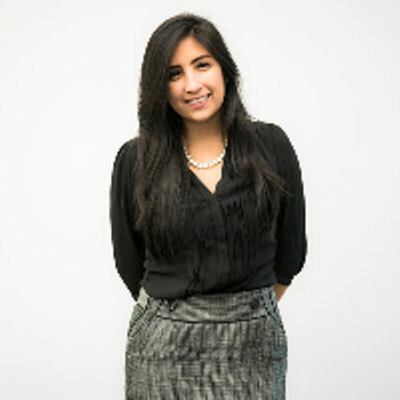 My name is Stephanie Moncayo and I work for an incredible channel team at PTC. My team inspires me every day to do my best to impact PTC's goals and our partners' success. My career has been dedicated to the channel since I graduated back in 2014. I love working with my partners and at PTC. The Partner program continues to evolve and ultimately pushes me to grow with it and identify opportunities for my partners. The tech industry and PTC push me to do the same which is why I chose this career path and will continue to! Personally I have helped establish a process to work with partners in a productive way to scale. I have established a connection with my company's field marketing team and marketing segments to co-work with Partners to increase activity and value in order to make both parties as successful as possible. I have also aligned our team with partners, sales, pre-sales and HVS to roll out our companay's established sales plays. Among others! My next goals to help advance the company's channel business is to support my team to hit our revenue goal. Marketing activity is now directly tied to creating pipeline for partners and our company. In order to make this happen I have established a new program to bring net new contacts, work with partners to run marketing campaigns to qualify the contacts and have a connection to HVS to do the last qualification before passing back to the partner. These lists are both competitive and industry focused. My main goal will be to manage the ROI. I was featured in Women of the Channel last year. I also ran a half marathon this past year in under my goal time. Last year I chose my boss Lou Anne Reynolds because she is by far the most talented, energetic and compassionate manager I've ever had. This year a woman that I admire outside of my family is a woman I met the WOTC in New York. Her name is Deena LaMarque Piquoine. She spoke at the conference and her story was so inspiring I had to meet her. Her ability to overcome very challenging life obstacles and still out perform in a new challenging role is incredibly admirable. I would tell my 16 year old self to find a mentor sooner. My career path has already changed twice before even graduating. Those changes would have been easier with more guidance. I have found mentor now as a professional and their advice has ultimately guided me to where I am today. Management would be the new job related-skill I would love to master because it not only does it impact performance but growth. I want to be able to easily match the personalities of the people I manage today and in the future. I want to be a manager they can trust and learn from. I want to inspire them and help them grow towards their goals. Management is a very difficult skill that you never truly master. I hope to continue learning and create true impact for the companies I work for and their employees. HBR's On Managing Yourself is the most recent book I've read. I loved it because it taught me how to identify my deepest value in order to stay engaged throughout my work life. It also teaches you how to keep mental energy and maintain a work life balance. Most importantly it gave me great tips on how to delegate well, something I particularly have trouble with.